If there’s not a party, does the year really end Well … yes. But screw it; you’re always better safe than sorry, which is why we’re throwing a Christmas bash to blow out those 2018 cobwebs once and for all. 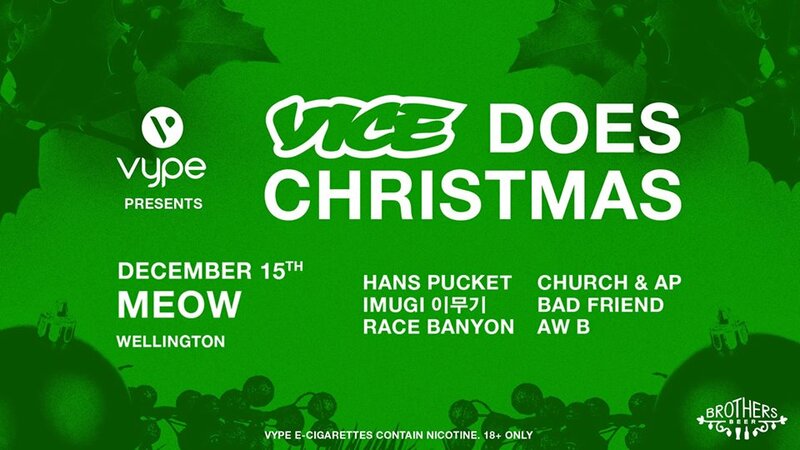 Thanks to our friends at VYPE we’ve assembled a terrifyingly stacked lineup for our party at Meow on December 15th, with a handful of seasonal surprises still tucked up our sleeves. 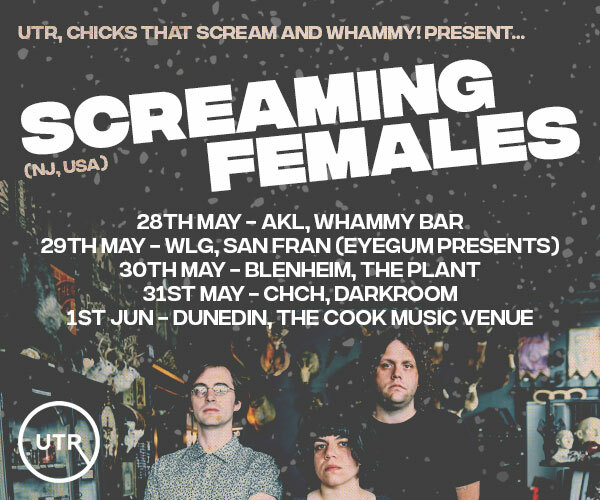 Wavemaking rap duo Church & AP and blunted bedroom disco duo Imugi 이무기 will make the trip down to Te Whanganui-a-Tara, playing alongside the local heroes of twincore power trio Hans Pucket, dreamo quartet bad friend, and verified party-starters Race Banyon and Aw B.
alternative, dj, hip hop/rnb, rock, Imugi, Church & AP, Hans Pucket, bad friend, Race Banyon, Aw B.